Scroll down to find an assortment of free printable diplomas in many subject areas. 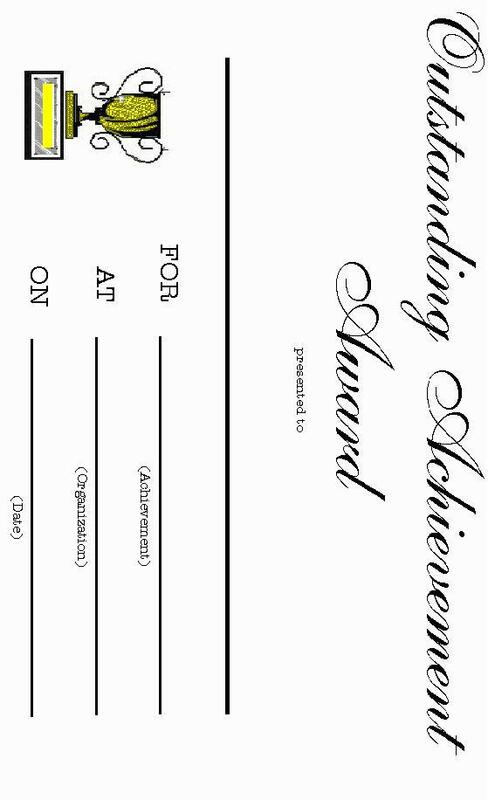 Shown below is a multi-purpose certificate template for outstanding achievement in general. This award can be used for anything from getting good grades to winning a sporting event, or any other unique accomplishment. 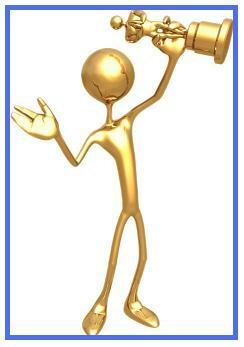 Perfect for any school or organization, this award is a great way to show appreciation for those who have earned it. Simply right click on the image, select SAVE from your drop-down menu, and save the image to your picture file for future use. Then, stock your printer with your favorite fancy stationery paper (gilt gold trim is usually a good choice), and print the award. Awarded each year to "serious" academic researchers who waste the largest amount of our hard-earned tax money on the stupidest imaginable research projects. Five recent recipients were a research team in Switzerland who determined — by experiment — whether it is better to be smashed over the head with a full bottle of beer or with an empty bottle. Awarded posthumously to people who got themselves killed in the stupidest possible ways. For instance, two men in their 30s both won the award after dying of head injuries when the game of "chicken" they were playing on their motorcycles resulted in a tie. The opposite of the Academy Awards (Oscars), this award is given for the worst of the worst in films produced each year. For instance, one recipient was Lindsay Lohan, voted "Worst Actress" for her role in "I Know Who Killed Me." In some cases, actors actually show up to accept the award. Other inappropriate awards include ANY award given to the winner of an eating contest, or a smelliest feet competition. GREETING CARDS FROM YOUR STATE Free printable, original greeting cards with distinctive U.S. state motifs. Print and send as many as you like.